As I walk down the street, there are hundreds of people as it is the annual festival. 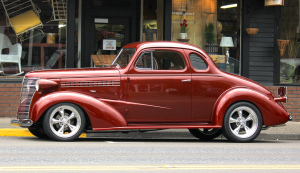 Dozens of classics are rolling down the street in their parade of auto history as the people cheer, smile, and admire. Just then, she appears. The classic of the show.